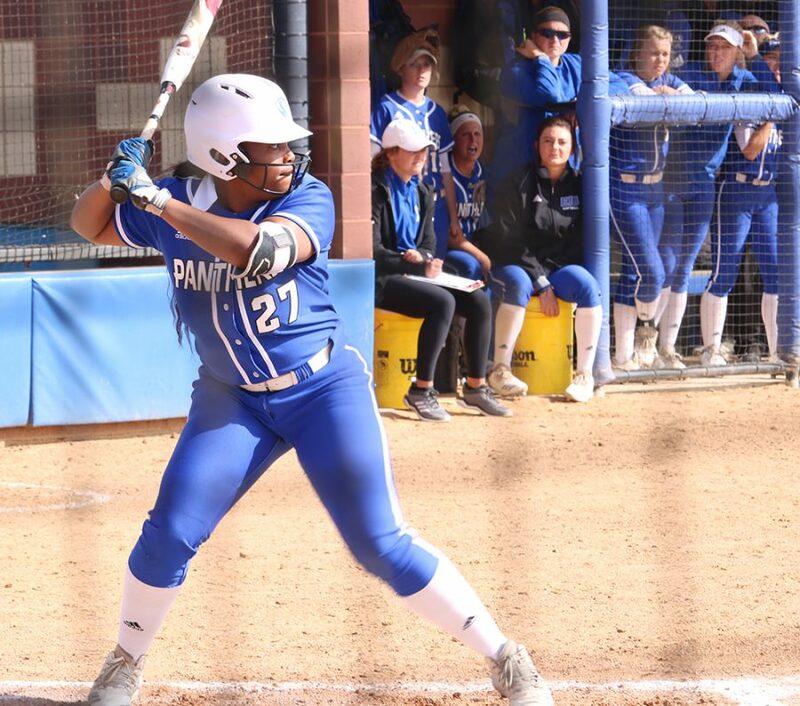 Eastern center fielder Mia Davis loads in her stance moments before hitting a home run in the Panthers’ 7-4 loss to Murray State Saturday at Williams Field. Eastern opened conference play 1-3 this weekend. 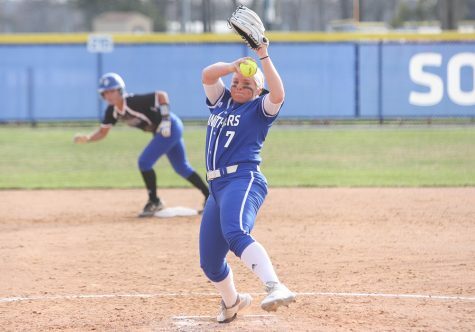 As junior Jade Montgomery watched sophomore Valerie Thompson stumble awkwardly into first base in the conference opener against Murray State, she knew who would provide inspiration for her this season on the mound. With just four pitchers in the bullpen, Thompson’s severe knee injury, suffered in the first game of Saturday’s double header with Murray State, meant someone would have to shoulder the load on a four game home stand. That someone would be Montgomery. After Eastern lost twice to Murray State (7-0, 7-4) and once to Austin Peay (9-0), Eastern head coach Kim Schuette tasked Montgomery with the onus of pitching seven innings against Austin Peay, throwing four shutout innings in a 4-1 win over the Governors on Sunday, its first conference victory on the season. The seven innings Montgomery threw in the second Austin Peay game were just a fraction of the 12 she partook in this weekend. The win enabled Eastern to rebound in the aftermath of a 9-0 loss to Austin Peay, marking the second game that resulted in a mercy rule this season, as Montgomery struck out six Austin Peay batters, her highest strikeout total this season. 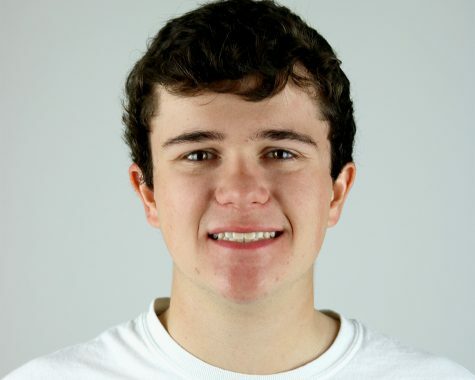 “I think we had good pitch selection in the second game,” Schuette said after the win. On the back end of each of the double headers, the Panthers improved upon, and even doubled, the number of hits they accrued compared to their previous game. The Panthers came up with four in the first Austin Peay matchup and nine in the second, while aggregating three hits in the first Murray State game and six by the end of the second. As for Eastern’s second loss to Murray State, in which Eastern surrendered three strikeouts, Mia Davis launched a homerun over the centerfield fence to hand Eastern a 2-0 lead on Murray State. Junior Haley Mitchell added an extra layer of insulation to the Panthers’ lead in the sixth, with a homerun that clanged off the top of the right field bleachers. But Murray State senior Madison Culver’s two run missile off junior McKenna Coffman at the top of the fourth inning geared the Racers for the final inning, when they overtook Eastern for the lead. The entire Murray State roster spilled out of the dugout to greet Culver at home plate in celebration, elation that carried over to the seventh. Eastern plays Illinois in Champaign on Tuesday.